As the feathers in your down or feather-filled couch cushions are compressed, they settle and rearrange, clumping together and exposing harder portions of your couch's framework. The cushions end up looking saggy and sad. 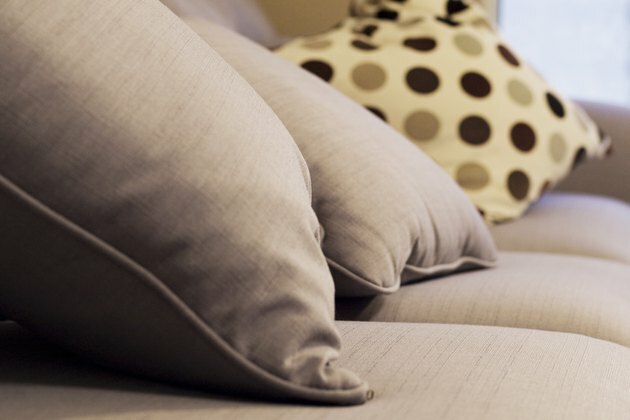 A periodic fluffing of the cushions, attached or not, can make the couch look and feel better. 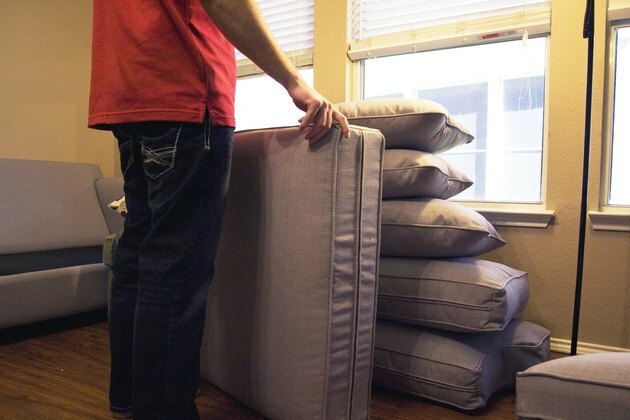 Remove all detachable cushions from your couch and set them aside. Using your hand or a large wooden spoon, pat or beat repeatedly on any attached cushions. Work from the bottom of each cushion and move upward. Repeat this bottom-to-top method until you are satisfied, using more force when necessary to achieve the fluff you want. Grab one of the removed cushions in one hand and hold it out, away from your body. With your other hand, hit the cushion a few times repeatedly, using the spoon or your bare hand. Rotate the cushion in your hand, and continue to fluff it. Keep turning your cushion and beating it until you've turned it completely around and held all four sides. 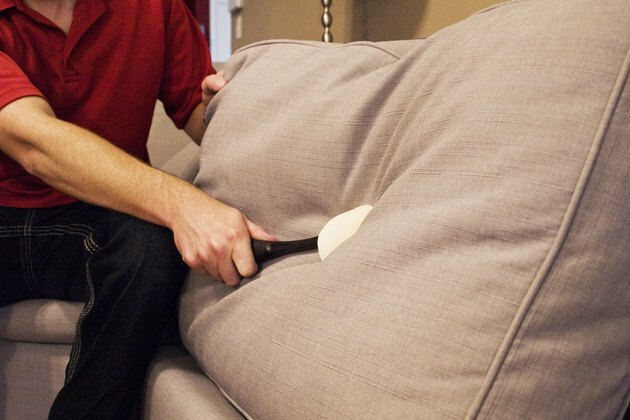 Replace the cushions on your couch as you finish fluffing them until you are done and all the cushions are back in place. Amma Marfo is a higher education professional and writer. Presently, she shares her writing expertise in the Office of Student Activities and Multicultural Programs at Emmanuel College in Boston.